Directors will deal with non-emergency concerns at their meetings. Sunshine Lady: Madelaine – lot # 97 - sends cards with wishes and thoughts on members’ behalf. Front Gate Remote: Please contact Cornerstone Property Management. Hello everyone! Spring has sprung! We hope you are all well and are looking forward to the upcoming season at Otter Point. This newsletter is to let you know of some very important items and so you can plan for all the activities we have planned for this season. The scheduled dates of our most beloved events are attached so you can add them to your calendars now. We’re looking forward to your involvement and participation this season! Over the winter months, volunteers, the board and Angie our caretaker took on many tasks and dealt with many issues to keep the park running. We appreciate all those who work hard in the off season to insure our park stays secure, safe and maintained. Come to the park to help get it ready for the season! If you are available to assist – please email Linda at – linkitchen@shaw.ca. We’ll have painting, weed pulling, putting up the tent, pruning and a few other tasks as required. And, of course, one of our famous hot dog lunches to follow! There was a tremendous amount of rain this past winter. The culvert at the front of the park was flooded but thankfully, no major damage occurred in the park or to member RV’s. There were many water issues in the park this past winter – many due to water taps at individual lots not being shut off. REMINDER: If you are leaving your lot for more than 12 hours at any time of the year, water must be shut off. Burst pipes and water leaks caused damage and resulted in exceptionally high water costs - which we all pay for. As per our ‘Internal Regulations’ it is the responsibility of members to ensure their lot and RV are well maintained, cleaned and kept in good repair. Although this is a year-round responsibility, it’s this time of year we ask that the washing of RV’s and the cleaning and maintenance of lots be done. If you can not take on these tasks yourself, we ask that you hire someone to do this work for you. Letters will be sent to members who’s lots are not properly maintained. Two new sheds to house the recycling and compost bins will be purchased. We ask that the doors of the sheds be kept closed when not in use. Shed doors will be left unlocked. However, we must keep the doors closed when not in use. REMINDER: Although not all members recycle to the extent we do here on the west coast, we must remind everyone that our recycling rules are very strict and must be adhered to at all times. No food items, wood or metal can be put in the garbage or recycling bins. Food items MUST BE put into the green compost bins. We ask everyone to take pride in your park and help us avoid fines we will incur if we don’t dispose of our waste properly. An Alpine recycling representative has been invited to our annual general meeting to provide complete details. We hope you will attend to hear this very important information. As a courtesy to other members and guests, please ensure washrooms and laundry areas are kept clean and are tidied up after each use. Please remove laundry from washers/dryers as soon as possible after they are finished so the next person can begin using them. Please be sure to have a visitor form completed and submitted to Cornerstone PM when you are either renting your unit or allowing friends to use it at any time during the year. This information is passed to the caretaker so she isn’t alarmed when new people are coming and going from the park. This is per the by-laws found here on our site and must be completed. If you have made arrangements and want to leave keys with Angie our caretaker if she’s not home when you leave, she has a drop box outside her trailer. Please put a lot number and name on the keys when you leave them. If you are moving and/or change emails, etc., please be sure to send the new information to Cornerstone so they can keep records up to date. If you are selling your lot/RV and/or will be renting it, you can have a sticker added to the new park map posted by the caretaker’s trailer. Many people come to the park looking for these and having this on the map may help with a sale/rental. Please see Angie and she will put the sticker on for you. Do you have a special skill (i.e. electrician, carpenter, etc.) you can contribute to the park? If so, we are always looking for people with expertise that may help to reduce costs in these areas. Please email: 7899@gmail.com so we can add your name to our list. Last fall we put out a call to members who might be interested in getting together to discuss how the gardens and property in the park should be managed. If you are interested in being a part of this group, please email the park email at: 7899otter@gmail.com. A reminder that members are not to alter common areas of the park at all. This includes using rocks and wood to build borders around garden areas. Any alterations to common areas must be approved by the directors. As well, rocks and wood on common areas increase the risk of harm and injury to the caretaker, members and RV’s as they get caught in the lawn mowing equipment and can become projectiles. There have been a number of lot sales over the past year so you’ll see many new faces around the park. Please be sure to introduce yourself and give our new members a warm welcome. It will be great to see activity on lots that have sat empty for a period of time and to have new members get involved in our park. Welcome to you all! The board would like to send out a special thanks to Neil Webb (lot 79) for the considerable (and we mean considerable) often behind the scenes work he does in the park on our behalf. A heartfelt thanks to Neil when you see him would be great. Thanks Neil! The 38th AGM will take place on Sunday, July 7th. The formal AGM package will be sent out by the end of May. It will include all the relevant information (notice, proxy, financials, assessments, etc.) for the meeting. We look forward to seeing you out at the park soon! ALL DINNER EVENTS HAVE A HAPPY HOUR START TIME OF 4:00 PM AND A DINNER START TIME OF 5:30 PM. 4 pm* Celebrations will be later on! Notes Great band! – You won’t regret this one! Notes Need we say more? Pricing coming soon. Notes Get rid of some of your OP treasures! Emergency Services manager Jeri Grant who put this together. Starting today, residents of the Juan de Fuca Electoral Area may register at www.crd.bc.ca/ens for the Emergency Notification System. In the event of a significant emergency or disaster, the emergency notification system will quickly notify residents who may be impacted by the situation. This system can call your home phone or cell phone, send a text, and/or email important safety information or instructions. Please take a moment and register and please also forward on to your neighbors. Important information for disposal of kitchen scraps. We now have 2 totes specifically for wet kitchen scraps in the recycle area. Kitchen scraps must not to be placed in the general garbage bin. It is important that all kitchen scraps are tied in compostable bags only and not in plastic or degradable bags. Failure to do so will contaminate the load and result in significant fines against the Co-op. Kitchen scraps are not to be just dumped in the totes without being tied in the compostable bags as they will quickly attract flies and maggots. 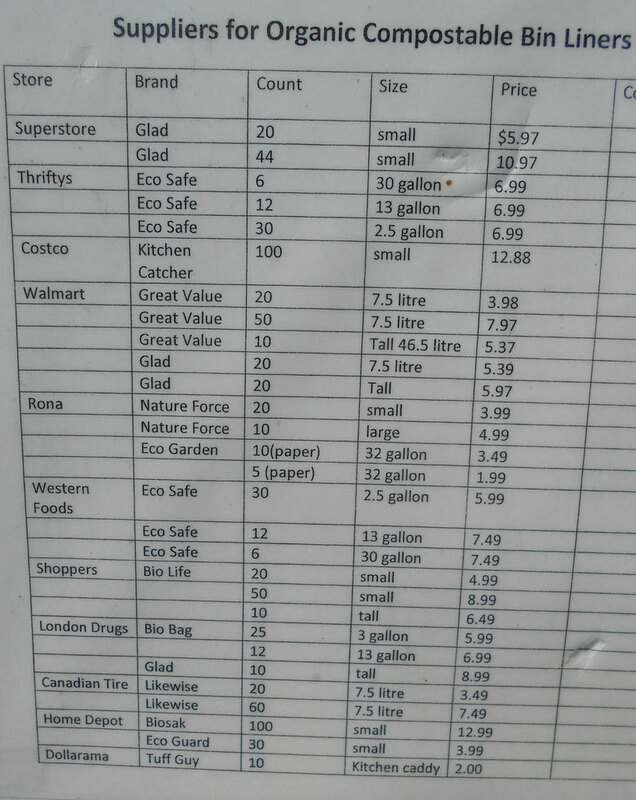 Compostable bags are available in most grocery and hardware stores(see list below). Arrangements may be made with the caretaker if you need an emergency supply. 'Spring has sprung, so have the grasses and weeds. In preparation for the busy season, please check your lot and RV for any clean up and maintenance that might be needed. Telus is revisiting their delivery dates and we won't hear more until the spring. The reason for some of the delays is due to our specific need for change of alignments for the placement of the services on the individual lots which requires a redraft of the full layout. Needless to say this is disappointing, but we want the service to meet the parks requirements. The board of OPRCA is aware that all of our members have a wide variety of expertise from work experience, education, recreational and of course life experience. We often have questions that affect our park and members and it would be useful if we knew what fields our members have an interest or expertise in. For example some of our members have experience in banking, commercial fishing, photography, art, woodwork, contracting, government agencies, farming etc. If you wouldn’t mind a call or e mail from time to time to tap into your knowledge we would appreciate you contacting the board via this web site at the Contact page. Just complete the required fields and under message insert your expertise or interest(s). Guests, Visitors or Members parking in the visitors lot (first parking lot) at Otter Point Co-op must sign the guest book. The book is located in the box on the left side of the walk through gate. This is a general reminder to members that lots, trailers and vehicles must be maintained in a safe, clean, neat and insured condition. Lots must be free of weeds and extra vehicles, trailers and sheds free of moss and all vehicles and trailers insured. If you have any questions about this notice please refer to the regulations for OPRCA contained on this web site. Lots that require upkeep will receive notices during the month of May. If you are unable to perform the required maintenance within the timeframe specified in the letter, the board will have the work performed and billed to your lot as per the regulations. Thank you for your co operation in this matter. Madeline Burbridge sends cards with wishes and thoughts on members behalf. Please contact her through us by one of the methods mentioned above if you wish her to send a card on our behalf. 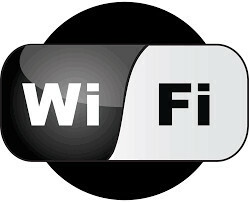 We continue to offer Wi Fi here at the park at no additional cost for members. This doesn't however mean unlimited usage. We as a whole are capped with a maximum usage amount. Usage above and beyond incurs additional cost to the park. Additional usage has been problematic at times and if usage continues to rise, we will be forced to increase the limit at additional cost and/or farm out WiFi to a third party to monitor, maintain and set pricing policies. This is to let you know that Shaw (our internet provider) is required by law to notify us when anyone in the park is using our wifi connection to download copyrighted materials. This has occurred on several occasions and Shaw has just sent another notification that the HBO show ‘Silicon Valley’ was downloaded by someone who’s computer IP address is in the park. At this point in time, no legal action will be taken. However, if this type of activity continues, the copyright owner has the right to do so. A fine of up to $5000 may be levied for each proven infringement. USED TO DOWNLOAD ANY COPYRIGHTED CONTENT! Gate remotes can be obtained through Cornerstone Properties Ltd. There is a $55.00 fee per remote.